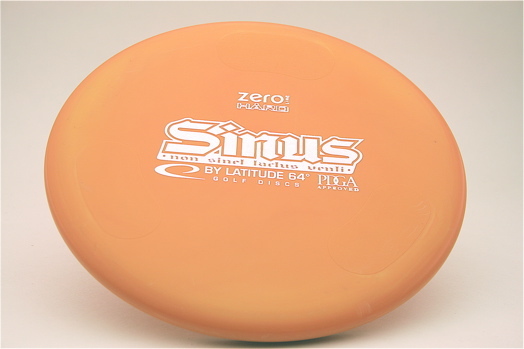 Sinus is a putter with three grip areas on top with different textures. This gives players an option to find the grip and feel that they prefer. The flight is quite overstable making the Sinus useful in windy conditions. This disc is available in Zero Hard @ $11.